12 300. That’s the number of super-duper special 20th anniversary PlayStation 4’s that were released over the course of the last week or two. 12 299 is most likely the amount of them that will be quickly off sold for a tidy profit to rabid fans wanting to own a console that few in the world would have. And Sony isn’t exactly happy about that. "That’s not what we want to see happen," PlayStation UK boss Fergal Gara told Eurogamer about the current demand for the highly sought after consoles. It’s inevitable some proportion of that will happen, and very hard to prevent it completely. We did think things through. But in each and every case, the way you get hold of one of these consoles requires some fan knowledge, so we’re trying to tap into the people who love the brand the most, and put them at an advantage, because they’re the people who keep us in business, who inspire this whole 20 year legacy. To get one of the consoles, potential buyers had to do some legwork and track down a pop-up store, present a piece of ye olde PlayStation memorabilia and utter the secret phrase “I crashed my bandicoot”. Which coincidentally, is my safety phrase. More of the limited units are going worldwide now. Some are being auctioned off in a Spanish charity, and a few will be made available locally here through giveaways. Still, even if you are planning to grab one of those consoles with the odd intention of keeping it and playing games on it, you’re going to be in for a hard time. This particular PS4 has already gone for over $1500 on eBay, and it looks like the anniversary PS4 will be released online in far more limited batches.There’s not much that Sony can really do at this point. Raise the price, and they’ll be called out for taking advantage of fans. 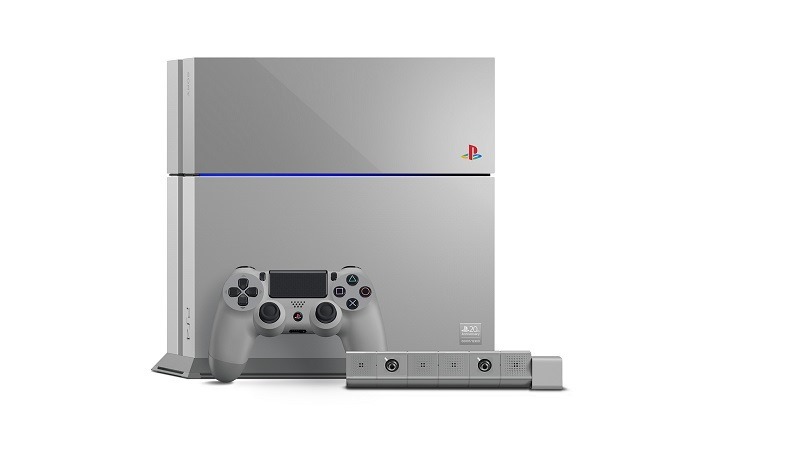 Make more of the consoles, and it’ll dilute the limited edition idea of the anniversary PS4. Perhaps first come, first serve is the best option at this point.